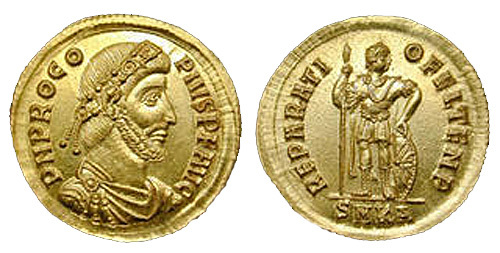 Procopius, a relative of the Emperor Julian, served with distinction under Constantius II and Julian. He was proclaimed Emperor in A.D. 365 at Constantinople while Valens was staying at Caesarea in Cappadocia. In the following year (366), the forces of Procopius were defeated in two great battles, Procopius himself was taken prisoner, and put to death by order of Valens.